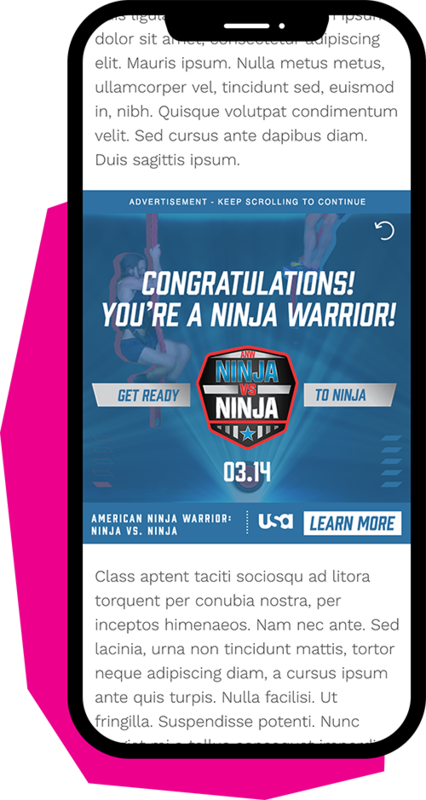 Created for the premiere of American Ninja Warrior: Ninja vs Ninja, this gamified ad featured two of the show’s contestants and included engagement that captured the American Ninja Warrior essence. In keeping with the show’s friendly competitiveness, users competed in a rope-climbing competition with a computer-controlled opponent. Each tap from the user counted toward their score. Depending on the results, either the user or the computer would be declared the winner.